Is It Saturday All Ready? Where did the week go anyway? It is so hard to blog when it’s so hard to stay in for any reasonable amount of time. Then there are so many other things that need to be done. This is Dot. She is one year old and will gladly give you her opinion on everything. Her former owner was “allergic”. Dot is the one with allergies, but it’s not bad — just an occasional runny nose or watery eye. She has been going outside for two weeks and she really likes it. She will come and get you and holler at you and lead you to the door. She is really good about coming in when it’s dark unlike some cats we know. Why did we get her? We wanted another cat. That’s it. I’ve been working on the sweater. It doesn’t look anything like the original. I wish that exact lengths were given rather than “desired length”. 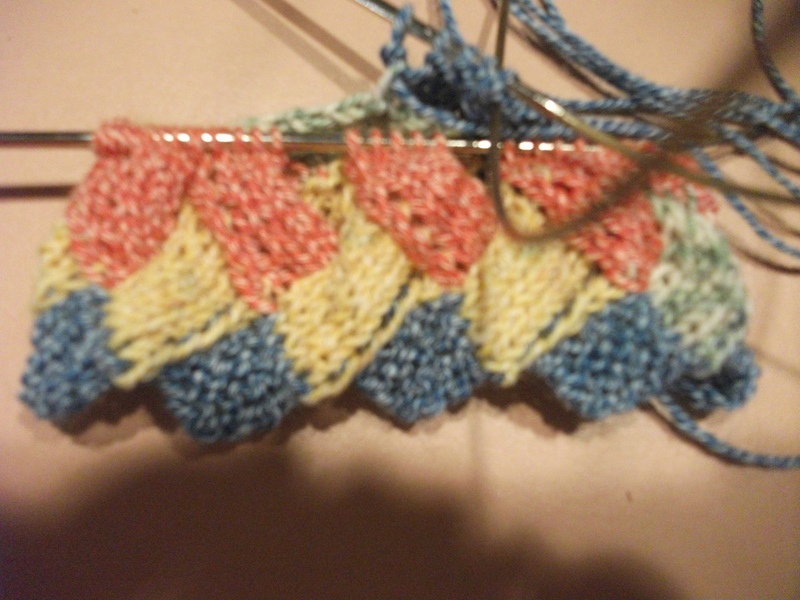 It was really hot this afternoon so I started a pair of cotton entrelac socks. Sorry for the poor picture. I should have used my other camera. 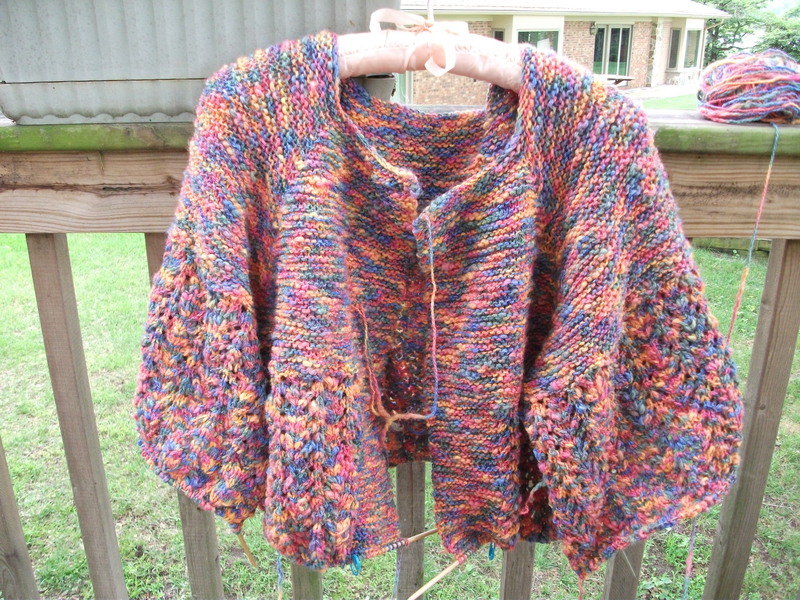 This entry was posted on June 6, 2010 at 2:10 am and is filed under Knitting, my pets. You can follow any responses to this entry through the RSS 2.0 feed. Both comments and pings are currently closed. Sandy….She is beautiful. 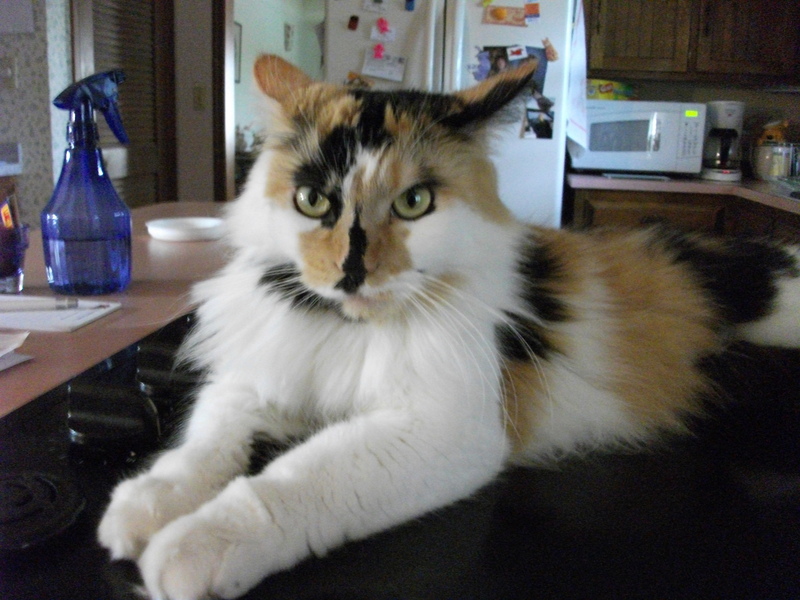 I love calico cats. They have such neat personalities.